Northern Irish politician who was a member of Parliament for Belfast West from 1983 to 1992 and again from 1997 to 2011. 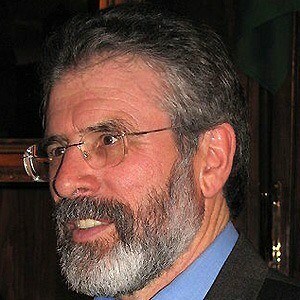 He began leading Sinn Féin, the third largest party in Ireland, in 1983. In 2016, he sparked international outcry for Tweeting a racial slur. He later deleted the tweet and apologized. In 1967, he became a member of the Northern Ireland Civil Rights Association. He was portrayed by actor Jonathan Ryan in the 2004 film Omagh. His 1971 marriage to Collette McArdle produced three children. He attended the 2009 presidential inauguration of Barack Obama.